"The magnitude of Walcott's achievement . . . is on lavish display in his updated "Selected Poems," which spans a half-century of his protean output and highlights the formal prowess of the progressively ambitious work he's produced over the last twenty years . . . confirming the incantatory powers of an oracle the likes of which the New World hasn't seen since Prospero drowned his book." --David Barber, "The ""Boston"" Globe""" ""Selected Poems" allows us the rare pleasure of tracing a long career, a full life . . . Timeless in [its] magic and cumulative power . . . Luminous [and] engaging." 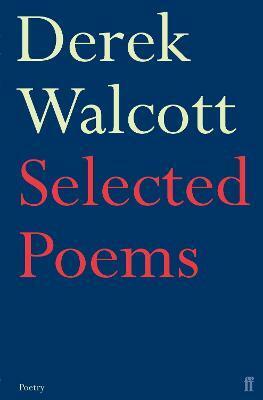 --Richard Wakefield, "The ""Seattle"" Times"
Derek Walcott was born in St Lucia in 1930. His Collected Poems 1948-1984 was published in 1986, and his subsequent works include Omeros (1990), Tiepolo's Hound (2000) and The Prodigal (2005). He received the Nobel Prize for Literature in 1992.